Some people might feel a need to want to change back to former design on their Chrome by disabling the recent Chrome's Material design, this post is here to show us how to go about it. If you use Google Chrome as your major browser, you must have received an update and become aware that there's now a NEW design on the browser known as Google's MATERIAL DESIGN. The latest version of Chrome is CHROME 53, and it's basically appearing uniquely different based on Material design from and by Google. 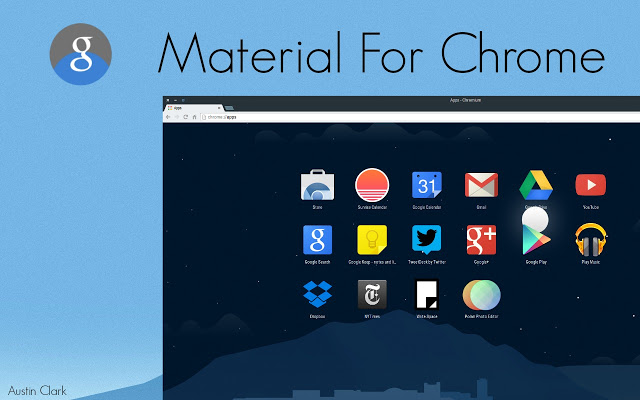 But, What is Material Design, on Google Chrome? For Chrome browser, Material design means Chrome 53’s user interface is flat, and some icons have changed. For some time now, several companies, Microsoft most notably, had brought a complete visual refresh to normal classic Chrome layout via their MicroSoft Edge browser if you look very very well. Material design on CHROME includes changes like introduction of a Dark Incognito theme, sharp edges of tabs, hamburger menu changes to 3 dots, redesigned pages for Downloads & Extensions, etc. It offers a mouse optimized layout – and the Hybrid layout offers a more spaced-out experience suitable for touch devices. The changes may not be obvious to the eye, but rest assured, they are there. To change or revert back to your original design on Chrome 53, in your address Bar type chrome://flags into the address bar. 2. After that, Press Ctrl+F, type “Material Design”, the press Enter. 3. Now, you will see a setting Material Design in the browser’s top chrome. Change it from Default to Non-Material, restart the web browser and everything should be back to normal. There’s also an option that says Material Hybrid – it is meant for touch-enabled layout. For those who love the Material design already, perhaps you'd prefer to see it throughout the entire web browser, not just some aspects of the user interface. You can achieve that. Below the option in YELLOW, “Material Design in the browser’s top chrome”, there’s another option known as “Material Design in the rest of the browser’s native UI”. Click Enable and it should extend the –top-chrome-md setting to secondary user interface. More flexible features can also be likely unlocked when you go to the chrome://flags Settings. Note however, that tampering with that it may cause issues with your Chrome browser.